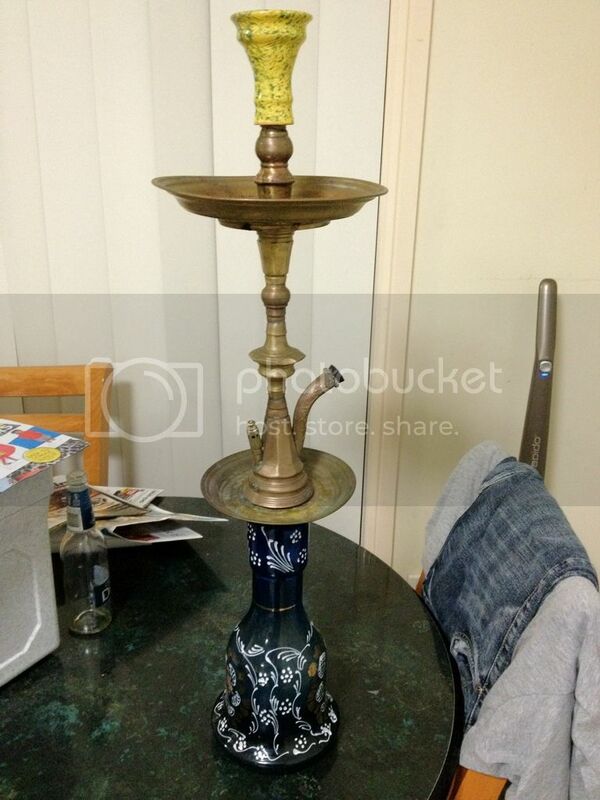 I got this hookah it was given to me by a close family frIend it's made out of solid brass and was wondering what was the name or type of hookah. It has a lot of Egyptian characteristics. Could you give us a picture of the tray rest? To be honest it seems like a generic Egyptian. Most hookah makers were not as worried about giving names to each of their models until they realized the western smokers liked talking about what model they owned.